Just as she did for years when she was known as New Horizon L, this Feadship is keeping an active cruising schedule. She had been hitting all the see-and-be-seen spots: St. Barts over the Christmas and New Year&apos;s holidays, the South of France this summer, and a few other Caribbean and Med ports in between. 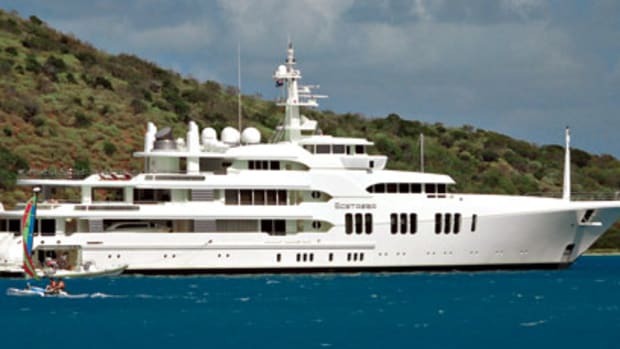 She&apos;s owned by a telephone entrepreneur and is reserved strictly for private use.